I have been so busy this past week but got a little relief yesterday when Dassie came into the office with Wendy. I am notorious for putting things on Dassie and then taking photos. This time, I thought it apropos to dress her like me, since she was in my office for a 5 minute stint. 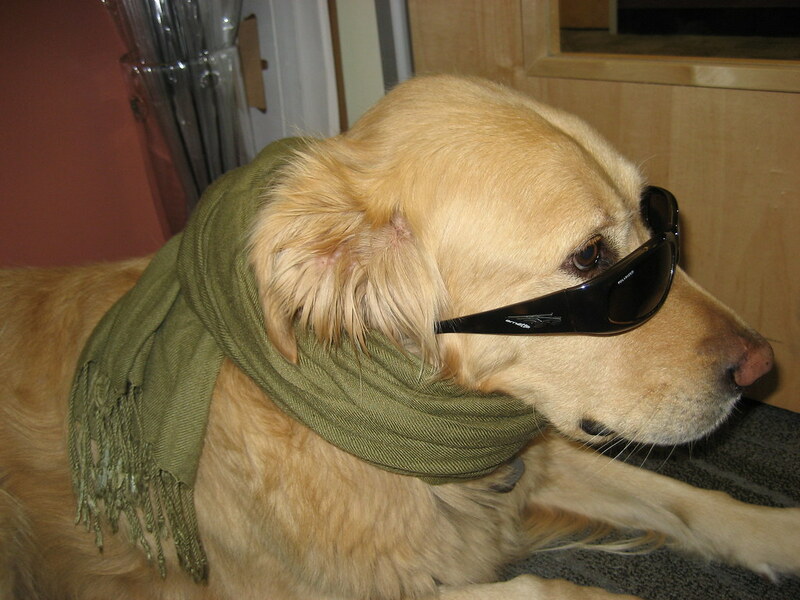 For those of you who know me, I almost always wear a scarf and of course, the sunglasses! Thanks Dassie, for letting me dress you up and for bringing a little fun into the office. Arent animals the best? I think they should be allowed everywhere, they are better behaved than most people if you ask me.